Apartment dwellers, did you decorate for christmas?! I did not but I found some fabulous little things that could add some christmas pzazz to any space and I want to share them with you. I adore these little houses! Wouldn’t they look adorable on the window sill? 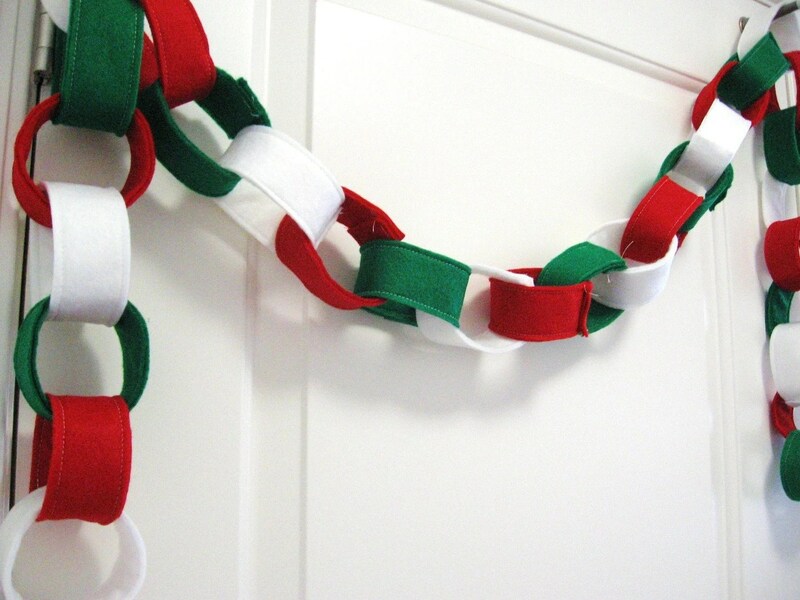 This is great because unlike paper chains it won’t rip and you can reuse year to year!! ANd even if you move to a bigger space – it’s still amazing! 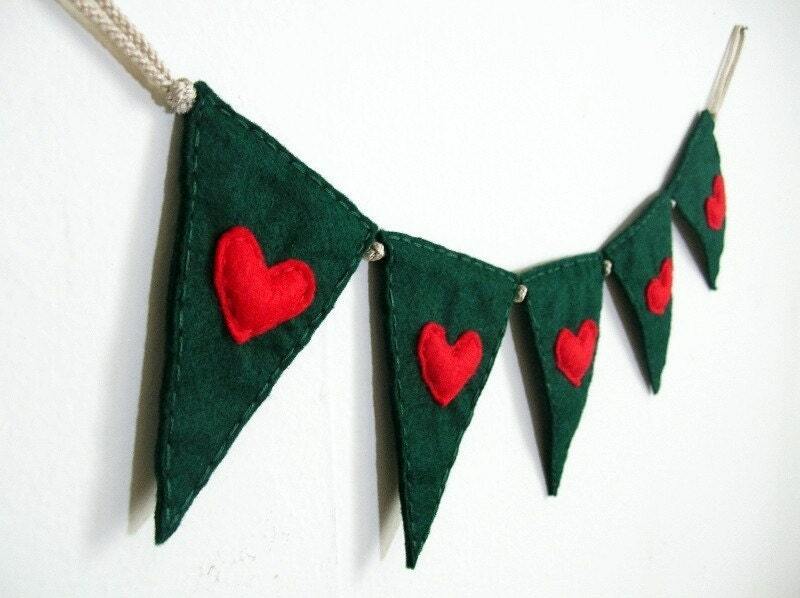 I think this is one of the cutest most wonderful christmas buntings yet!! I would loooove to hang it in my kitchen please! Oh how I wish I had enough time/energy to decorate for Christmas!! Maybe if i had roomates we could’ve joined forces. It’s alright, mom and dad will have the house all decorated when I get home!! Did you decorate your space? I always think I'm going to get around to making cute decorations for the seasons, but then I just get too busy! 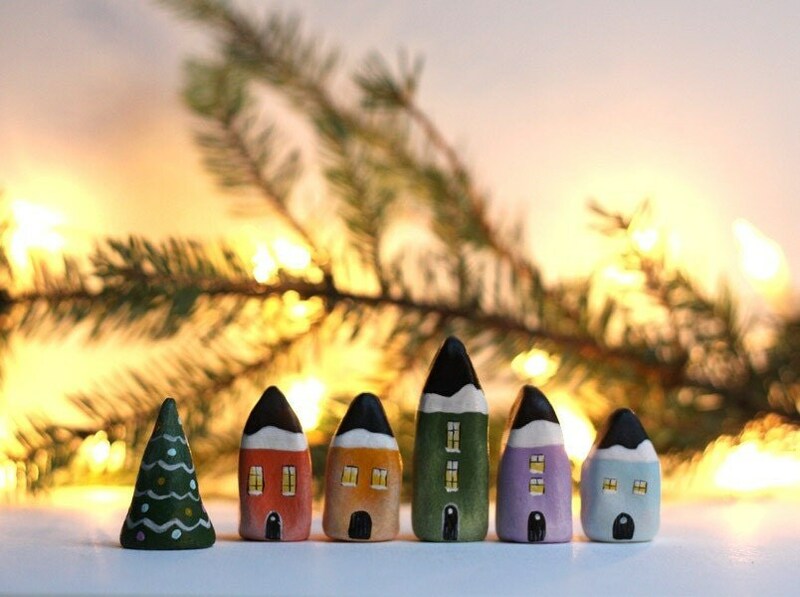 These are adorable ideas – I love the winter houses in a row! Thank you for including my little village in your post! It was a wonderful surprise! Lovely finds! We put up a little village on our smaller bookshelf and our 3ft tree is between the TV and Boyfriend's desk with our stockings right behind it. I wish I thought of making a cute garland for around our door!